Preserve the quality of your hot, cold, or frozen food while preserving the environment as well with the EVC Series by Delivery Concepts. The EVC Series by DCI stands for “Electric Vehicle Conversions”. These are electric vehicles optimized in single or multi-temperature configurations for delivering perishable cargo. Take advantage of the operating efficiencies of electric vehicles, while maintaining refrigerated, frozen, heated or even ambient temperatures. 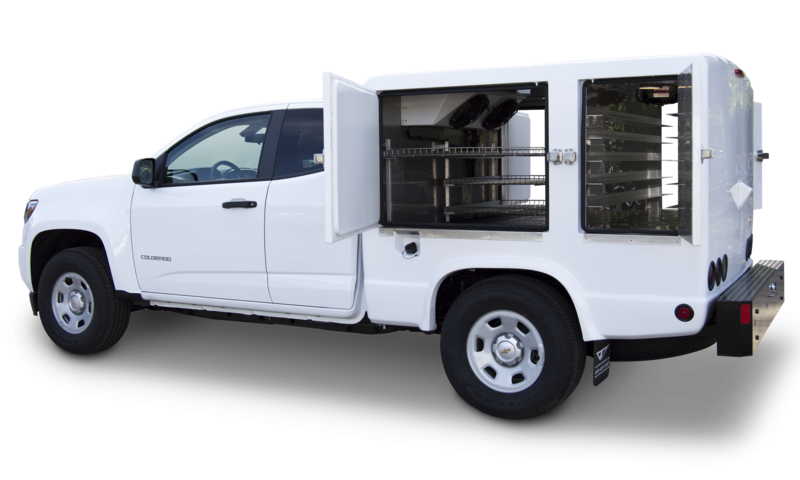 Compartments are available in multiple sizes and custom configurations to meet your exact business needs. The ideal solution for gated communities, resorts, colleges and universities, airports, business “campuses” and more.